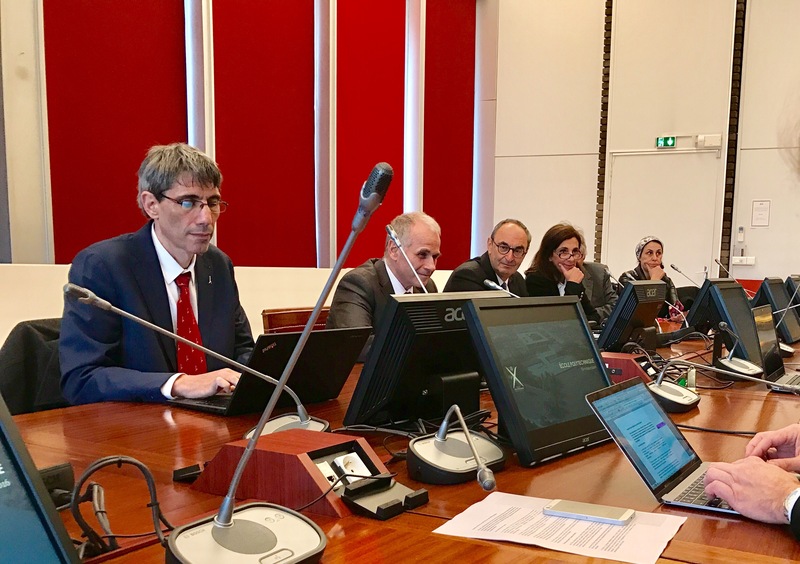 Last week, Ecole Polytechnique was hosting a delegation of dignitaries from Hebrew University of Jerusalem, Israel (HUJI), comprising Professor Asher Cohen, Rector, and Professor Oron Shagrir, vice rector – as well as representatives from the association “French Friends of HUJI”. 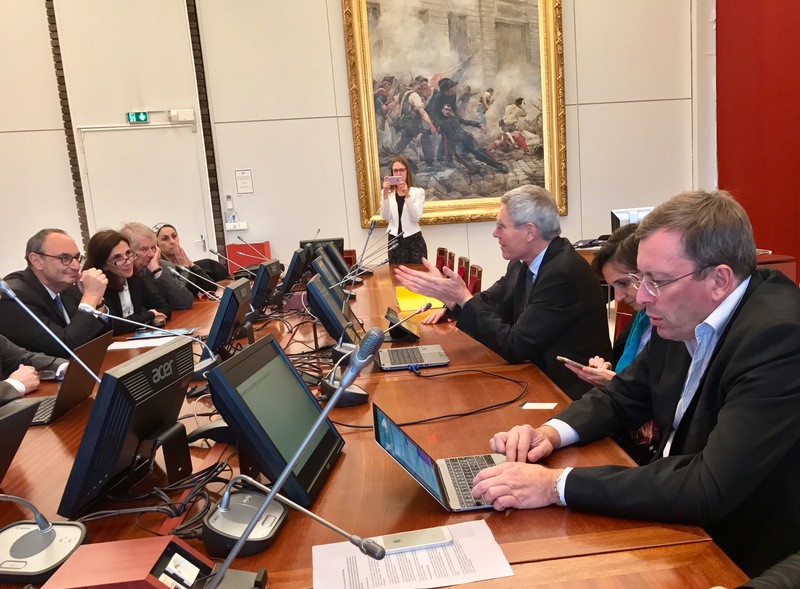 With my colleagues Gaëlle Le Goff, Bernadette Charron Bost, Mark Townsley, and Bertrand Remy, I had the pleasure of visiting HUJI in the spring more “inofficially”, meeting notably with Michael Schapira and his colleagues – with whom we discussed science. Michael observes (as has many others) that TCP congestion control is having (& causing) troubles. MIchael has (contrary to many others) developed an interesting approach to solving this problem, called PCC. While Michael has been interested in TCP in a different domain from the one that I study (“across the Internet” as opposed to “across wireless multi-hop networks”), we had a lot to talk about. 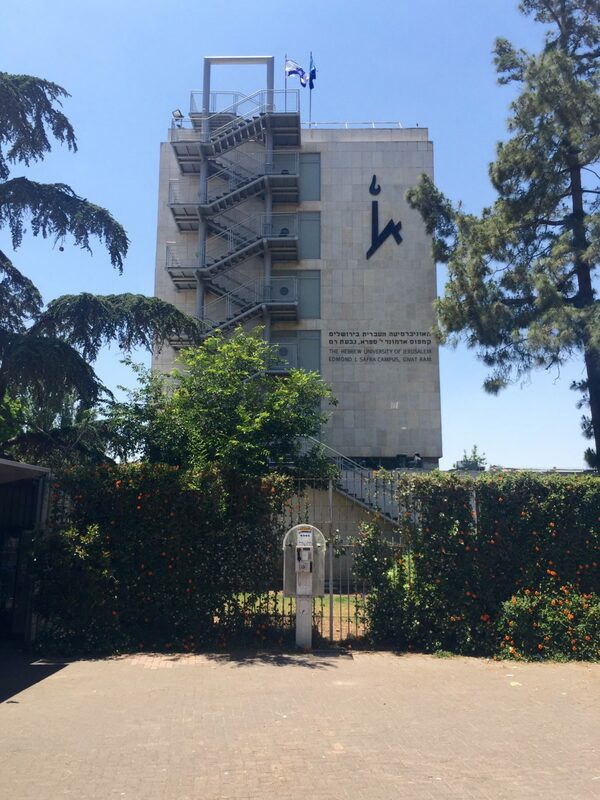 While in Jerusalem, we also had a pleasant lunch with professor Oron Shagrir, and it was a pleasure to meet with him again – this time on the Ecole Polytechnique campus. 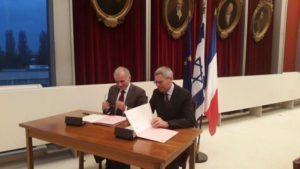 The delegation from HUJI had come to Ecole Polytechnique to formalize an institutional relationship, both regarding teaching (student exchanges). MoU’s were signed between our two institutions – now, for us to add actual academic, and scientific content. Here’s the press-release.